Here are some snazzy birthday facts about 15th of April 1999 that no one tells you about. Don’t wait a minute longer and jump in using the content links below. Average read time of 10 minutes. Enjoy! What day was my birthday Apr 15, 1999? April 15, 1999 was a Thursday and it was the 105th day of the year 1999. It was the 15th Thursday of that year. The next time you can reuse your old 1999 calendar will be in 2021. Both calendars will be exactly the same! This is assuming you are not interested in the dates for Easter and other irregular holidays that are based on a lunisolar calendar. What day was April 15 this year? There are 357 days left before your next birthday. You will be 21 years old when that day comes. There have been 7,314 days from the day you were born up to today. If you’ve been sleeping 8 hours daily since birth, then you have slept a total of 2,438 days or 6.67 years. You spent 33% of your life sleeping. Since night and day always follow each other, there were precisely 248 full moons after you were born up to this day. How many of them did you see? The next full moon that you can see will be on May 18 at 21:13:00 GMT – Saturday. Fun stat: Your first one billion seconds (1,000,000,000) will happen sometime on December 22, 2030. If a dog named Prajna - a Toy Fox Terrier breed, was born on the same date as you then it will be 100 dog years old today. A dog’s first human year is equal to 15 dog years. Dogs age differently depending on breed and size. When you reach the age of 6 Prajna will be 40 dog years old. From that point forward a small-sized dog like Prajna will age 4 dog years for every human year. View the complete list of April 15 celebrity birthdays. Who are the famous April 15 birthdays? Here’s a short list of famous people in history who were born on Apr 15. View the complete list of April 15 famous birthdays. 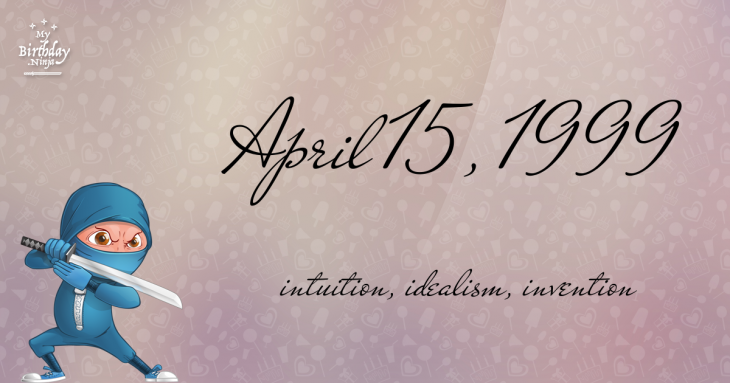 What happened on my birthday – Apr 15th? The Lateran Council condemned the Council of Hieria and anathematized its iconoclastic rulings. Tokhtamysh–Timur war: Battle of the Terek River: Timur defeats Tokhtamysh of the Golden Horde at the Volga. The Golden Horde capital city, Sarai, is razed to the ground and Timur installs a puppet ruler on the Golden Horde throne. Tokhtamysh escapes to Lithuania. Irish Confederate Wars: A Confederate Irish militia is routed in the Battle of Kilrush when it attempts to halt the progress of a Parliamentarian army. The Pocotaligo Massacre triggers the start of the Yamasee War in colonial South Carolina. Closing ceremony of the Games of the I Olympiad in Athens, Greece. Rand McNally publishes its first road atlas. The Great Mississippi Flood of 1927, the most destructive river flood in U.S. history, begins. Roerich Pact signed in Washington, D.C.
Tokyo Disneyland opens to the public. The inaugural World Youth Day is held in St. Peter’s Square, Vatican City. View the complete list of April 15 historical events. Curious about this Inert Fuse? This is a party item you can activate and send to your friends when you play the free game Jump Birthday Party. It’s a fun and easy-to-play mobile game for all ages. Get free 1,000 gold coins when you download today! What does my birthday April 15, 1999 mean? Your birthday numbers 4, 15, and 1999 reveal that your Life Path number is 11. It is a master number that represents intuition, idealism and invention. You have the potential to be a source of inspiration and illumination for people. The following celebrities also have the same life path number: Pascal Kleiman, Hiro Takahashi, Kristy McNichol, Marit Larsen, William Sanderson, Jonathan Hyde, Charlotte de Turckheim, Arlo Guthrie, Brenda Gandini, Will Young. What is the birthday horoscope for Apr 15, 1999? The Western zodiac or sun sign of a person born on April 15 is Aries ♈ (The Ram) – a cardinal sign with Fire as Western element. The ruling planet is Mars – the planet of war and ambition. According to the ancient art of Chinese astrology (or Eastern zodiac), Rabbit is the mythical animal and Earth is the Eastern element of a person born on April 15, 1999. What is the birthstone for April 15? Diamond is the modern birthstone for the month of April while Opal is the mystical birth stone (based on Tibetan origin). The zodiac gemstone for Aries is bloodstone. Lastly, the birthday stone for the day of the week ‘Thursday’ is sapphire. Fun fact: The birth flower for 15th April 1999 is Sweet Pea for love. What is the Love Match for Apr 15, 1999? When it comes to love and relationship, you are most compatible with a person born on June 22, 2003. You have a Love Match compatibility score of +160. Imagine being in love with your soul mate. On the negative side, you are most incompatible with a person born on October 21, 1998. Your incompatibility score is -154. You’ll be like a cat and a dog on a love-hate relationship. Arf-arf, I want to bite you. Meow-meow, stay away from me! What is a good birthday trivia for April 15? The number-one hit song in the U.S. at the day of your birth was No Scrubs by TLC as compiled by Billboard Hot 100 (April 17, 1999). Ask your parents if they know this popular song. I do not know how you feel about this, but you were a female ♀ in your last earthly incarnation. You were born somewhere around the territory of USA North-East approximately on 1400. Your profession was handicraftsman, mechanic. Lessons that your last past life brought to present: Your lesson – development and expansion of your mental consciousness. Find good teacher, spend a part of your time and energy on his wisdom. How many babies were born on April 15, 1999? Base on the data published by the United Nations Population Division, an estimated 130,704,749 babies were born throughout the world in the year 1999. The estimated number of babies born on 15th April 1999 is 358,095. That’s equivalent to 249 babies every minute. Try to imagine if all of them are crying at the same time. What is the popular baby name on 15 Apr 1999? What’s your bizarre Florida Man story? The #FloridaManChallenge is breaking the Internet and social media. Some crazy men, women, or creatures from the Sunshine State are making headlines every day of the year including your birthday. Try this fun exercise. Pick your search engine of choice and type in “florida man April 15” and see what kind of wild news headline you will get. This viral craze started in 2013 and gets resurrected now and then. The latest was from Tumblr and found its way to Twitter. As they say, the rest is history. Here’s a quick list of all the fun birthday facts about April 15, 1999. Celebrities, famous birthdays, historical events, and past life were excluded. 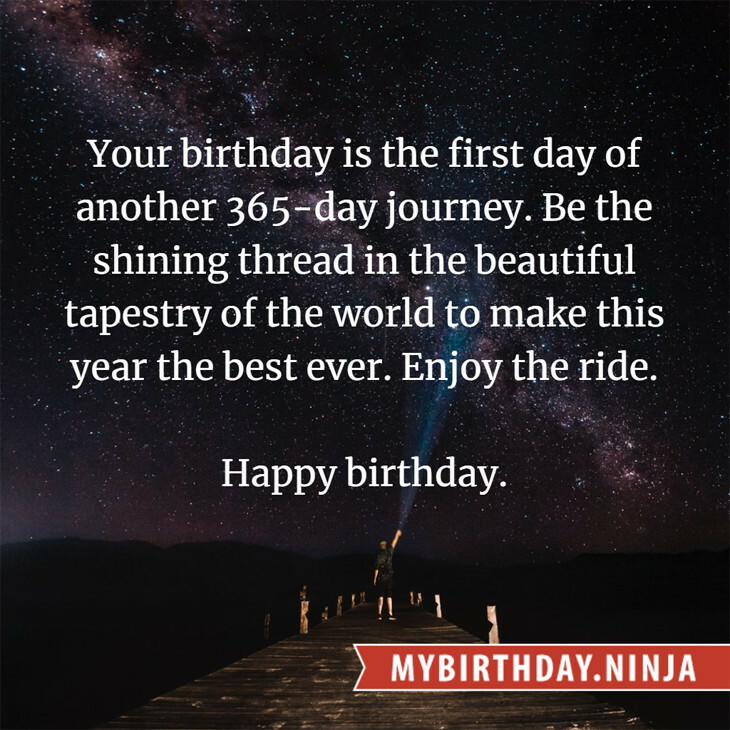 Try another birth date of someone you know or try the birthday of these celebrities: May 11, 1963 – Masatoshi Hamada, Japanese comedian and actor; August 27, 1944 – Barbara Trentham, American actress and painter (d. 2013); August 1, 1988 – Max Carver, American actor.